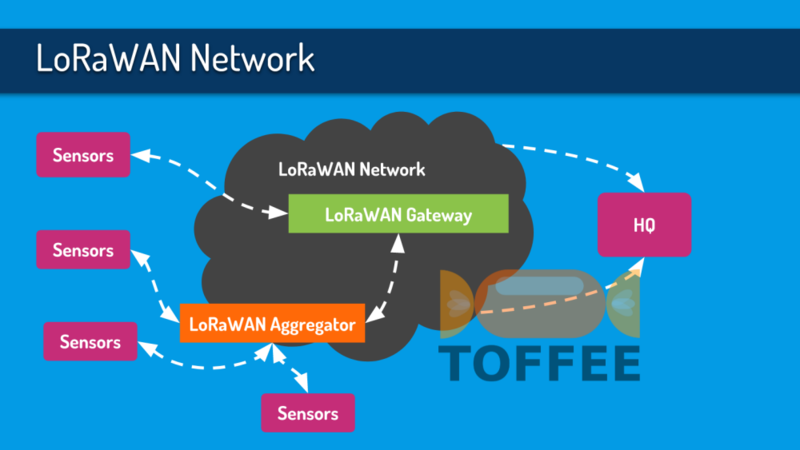 LoRaWAN is a very promising technology where it allows us to establish long range networks making it suitable for IoT and other such applications. With LoRaWAN now it is possible to collect data metric/analytics from the sensors scattered across a large area (typically many miles 5-10 Kms or a bit more). The only drawback of LoRa is that although it provides long range its network data rate is far too low. In a way that is sufficient for IoT or such sensor based data, but it is way too less (almost impractical) for any effective communication channel (such as internet browsing, etc). The speed you get is around 1kbps to 2.5kbps depending upon the range, signal strength and so on. So here is a scenario where few sensors are attached to a LoRaWAN Network. 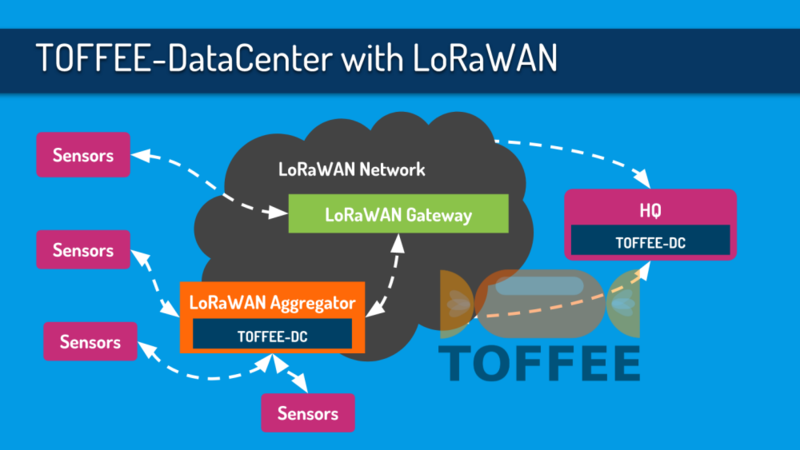 Let us assume in this case few of these sensors are not themselves LoRa capable, hence they are connected to an intermediate LoRaWAN Aggregator. This in turn connected backend to a LoRaWAN Gateway through which it gets internet connectivity. We can now improve its performance by incorporating TOFFEE-DataCenter within this hardware infrastructure. Thus improving its total overall network bandwidth. We can now squeeze a lot more data through this long-range network channel than it is possible earlier with LoRaWAN Technology (hardware) alone.